It’s scary to think that most people just never feel like they find their ‘calling’ in life. The thing that makes them feel fulfilled, satisfied, and like their life is meaningful. Some people do, of course, but they are usually the people who are brave enough to follow their instincts; to go places without even fully knowing why. They just know that something is telling them to do it. After taking many baby steps in the right direction, and usually after a lot of time, they find it. The thing they’ve been waiting to smack them in the head their whole lives. Want to find your calling in a proactive way? Then take the steps in this guide below. The first thing you need to do is get comfortable with being uncomfortable. If you’re going to find your calling, you need to be willing to get out of your comfort zone and find it. Nothing good ever happened in a person’s comfort zone! You’ll need to go new places, try new things, and be willing to discover your calling in new and exciting ways. Your calling is not going to knock on the door of your comfort zone and announce itself, so make sure you’re willing to go out there and find it. You might not find your calling in the first few weeks, or even months of search. It could take a while. However, it’s important you keep following your intuition and looking for it that way. Just keep on doing what you enjoy, finding out more about the things you’re curious about, and see where it takes you. If you worry too much about what other people are doing, or what stage they seem to be at in their lives, then you might end up taking a wrong turn somewhere along the line. It’s crucial you take this time to focus solely on yourself and what you’re doing, even if it means you have to start at the bottom of the ladder in a new profession. When you focus on yourself, you might realize that you really want to take a degree for police, train to be an engineer, or even start up your own business. Listening to your gut is imperative, but it can be difficult in this day and age. After all, we’re basically conditioned to just follow the crowd like sheep and avoid going against the grain. If you’d like to learn to listen to your gut, you can do so by meditating and following the thoughts you find yourself thinking more often than not. If you want to do anything in life, you need to make sure you change the way you think to align with that. For instance, instead of thinking to yourself ‘I’ll never find my calling’ or ‘I’m having so much trouble finding my calling’, think ‘every step I take is taking me closer to my calling.’ You begin to believe the things you tell yourself regularly! You get to decide what gives your life meaning. What makes you feel great? What are your values? Finding your calling could simply be a case of making up your mind! Spot on Mark. From a woman in her prime, let me tell you that I spent so many years wasted on working in a role which gave me nothing in return. Sometimes it just takes one event to make you see that we only have this one life – so let’s make the best of it while we still can! Another woman in her prime here! Wise words Nellie and Mark! 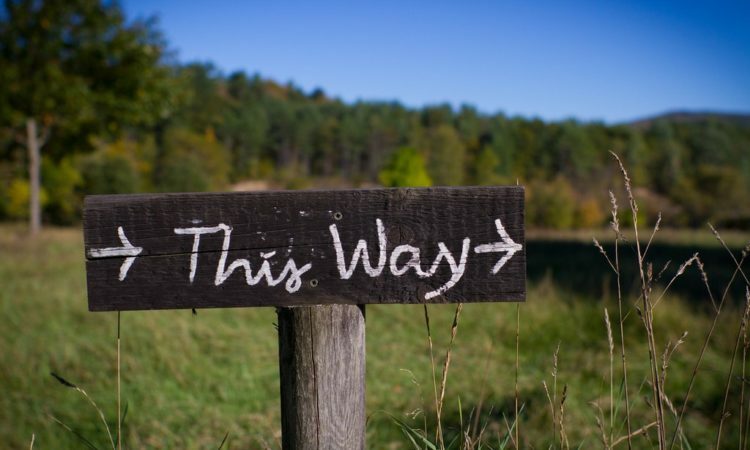 Though some of us don’t always know where we want to go or what our purpose is. Unfortunately, it’s often something we only discover when we have family responsibilities, and then we feel we have to wait once again. I get that Nadia, I really do. But there’s nothing wrong with taking steps toward making a change, even baby steps. You never know if you don’t try. Plus, it could always lead to something much better than what you have now and be better all round for you and those around you.